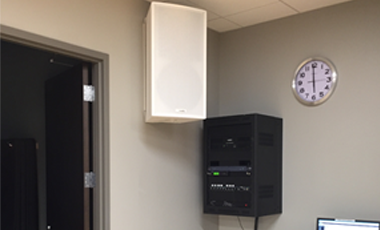 Instead of spending hours or even days trying to figure out which audiovisual system you need and how to install it, consult with our audiovisual technician. We can help you find the best system for your business communication needs and improve your operations with updated technology. Call for your free initial consultation. Welcome customers into an upbeat environment or create an inspiring workplace for your team with audiovisual technology and telecommunication systems from D & J Audio Video. 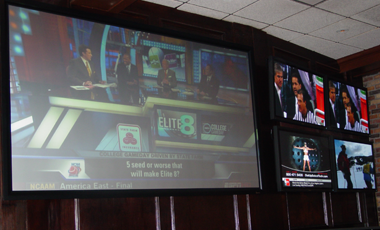 Every system we install is carefully planned to be easily operated and enjoyed by you. Our team serves Chicago, Illinois, and Northwest Indiana, including Valparaiso, Indiana. Our goal is to provide creative solutions for any communication need. Adapt your company or business needs to the ever-changing world of technology with the proper audiovisual (A/V) and surround sound systems in place. Figuring out what you need and then installing systems can take forever. Instead, get back to running your business as we take care of all of the goods and services you need. We are committed to excellence, after all.